Home»Vaccination»Medical Literature»Viagra and Flu Vaccine to Stop Cancer? Viagra and Flu Vaccine to Stop Cancer? A combination of sildenafil (Viagra) or tadalafil (Cialis) plus an inactivated flu vaccine reportedly reduced postoperative metastasis by 90 percent in laboratory mice with lung cancer. Suppression of natural killer (NT) cells subsequent to surgery has long been linked to both anesthesia and postoperative analgesia. This can allow cancer cells to escape in the immediate postoperative period, leading to metastasis. Phosphodiesterase inhibitor drugs like sildenafil and tadalafil effectively “switch off” cells that suppress the immune system and may be enhanced by other challenges to the immune system that stimulate T cells, such as the inactivated flu vaccine. It has been another dismal season for the beleaguered influenza vaccine, during which it proved barely effective for preventing influenza infection for yet another year.1 Now new claims have surfaced that could boost market share beyond manufacturers’ wildest dreams: The flu vaccine may stop the spread of cancer! And there’s more: It does so in when it’s combined with the popular erectile dysfunction drug Viagra! Dr. Rebecca Auer, surgical oncologist and head of cancer research at The Ottawa Hospital and head author of the study explained that surgery can effectively excise solid tumors, but the surgical process itself may alter the body’s immune system response. The release of myeloid-derived suppressor cells (MDSC) may be triggered, which, in turn, block the natural killer (NK) cells that would normally work to contain and destroy metastatic cancer cells. Viagra blocks those suppressor cells, allowing the NK cells to do their job. And, the researchers say, inactivated influenza vaccine further stimulates the activity of those killer cells. It all comes down to the mechanisms of the body’s own naturally defensive immune system. It has long been understood that anesthesia has a suppressive effect on the immune system in the immediate postoperative period. In the case of general anesthesia, studies have shown that it may take a week before the percentages of marker T-cells stabilize, indicating a return to recuperation of normal immune function.3 4 The effect appears to be more dramatic with general anesthesia alone than for general anesthesia combined with epidural anesthesia. Erectile dysfunction drugs such as sildenafil and tadalafil act on the body in several ways. They increase blood flow, of course. However, they also are potent inhibitors of the enzyme phosphodiesterase, which has a number of cellular functions, including some that may contribute to erectile dysfunction and some that impact on the immune system. While sildenafil and tadalafil demonstrate important immune system effects on their own that could prevent the spread of cancer, the addition of the influenza vaccine was considered an important component of the current study.9 The authors report that the vaccine “works to further stimulate the natural killer cells.” Is the additive effect linked to the vaccine? To the influenza virus itself? Or to simple enhancement of the NK response? In a normal immune system response, any bacterial or viral infection causes elevated NK activity in humans.10 For this study, the flu vaccine was considered a viable means of stimulating an acute NK response to reinforce the observed activity of the phosphodiesterase inhibitors. The exploratory animal study was so successful in laboratory animals that the team is now initiating a small human trial to evaluate the combination of tadalafil and flu vaccine in 24 postsurgical patients being treated for abdominal cancer. The new trial will look not only at safety of the regimen but also at the immune system changes caused by cancer surgery. 1 How Effective is Influenza Vaccine? NVIC.org C 2018. 2 DeGraaf M. A mix of Viagra and the flu vaccine could treat cancer: Bizarre cocktail is now being tested in humans after reducing the disease by 90% in mice. Daily Mail May 18, 2018. 3 Yong-Chong Cheng et al. Combined General and Regional Anesthesia and Effects on Immune Function in Patients With Benign Ovarian Tumors Treated by Laparoscopic Therapy. Int J Clin Exp Med (NCBI) Sept. 1, 2013. 4 Song P et al. Effects of Different Methods of Anesthesia and Analgesia on Immune Function and Serum Tumor Marker Levels in Critically Ill Patients. Exp Ther Med September 2017. 5 Cho JS et al. The Effects of Perioperative Anesthesia and Analgesia on Immune Function in Patients Undergoing Breast Cancer Resection: A Prospective Randomized Study. Int J Med Sci Aug. 18, 2017. 6 Sandoiu A. 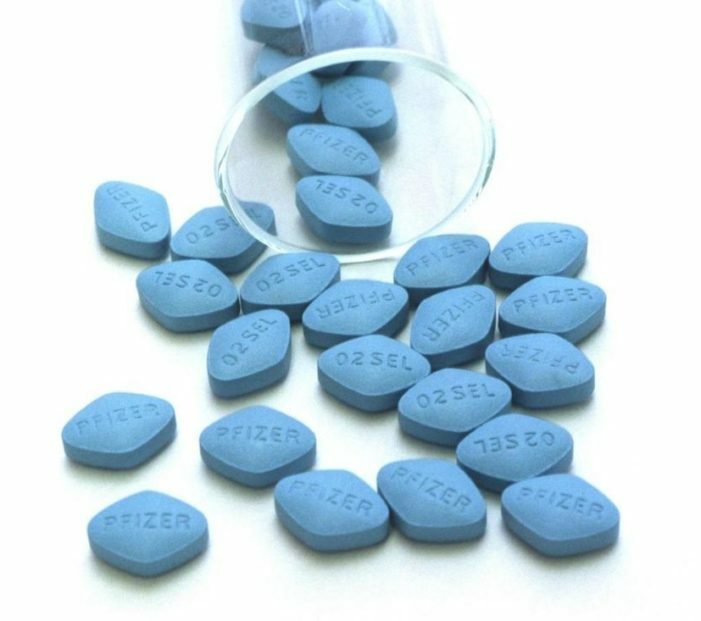 The Beneficial Mechanism of Viagra. Medical News Today Mar. 21, 2018. 7 Kniotek M et al. Sildenafil Can Affect Innate and Adaptive Immune System in Both Experimental Animals and Patients. J Immunol Res February 2017. 8 Boyer AM. Cancer-Fighting Cells Get Boost from Viagra. Live Science Nov. 28, 2011. 10 Schapiro JM et al. Natural Killer (NK) Cell Response After Vaccination of Volunteers With Killed Influenza Vaccine. March 1990. 5 Responses to "Viagra and Flu Vaccine to Stop Cancer?" BeLIEve it when U see it. “The new trial will look not only at safety of the regimen but also at the immune system changes caused by – cancer surgery”? More like RECOVERING FROM CANCER SURGERY & ADMINISTERED treatment KNOWN TO EXCITE KILLER T CELLS ETC. Envision this: decrease cancer remissions/increase in other, “unrelated” auto-immune diseases. Is this saying that epidural anesthesia during childbirth shuts down normal immune function? General anesthesia often follows epidural anesthesia in emergency C-section deliveries. Neither sounds good for mom or baby. I read somewhere recently that a study on mice has never ever been replicated successfully in humans. It’s all a waste of time and meaningless (and usually cruel). Which certainly makes sense, but still came as a shock. If someone has cancer now, would it hurt to get a flu shot and take viagra?